According to the U.S. Food and Drug Administration, potatoes are free of fats, sodium and cholesterol. They’re also high in vitamin C and a good source of potassium. Many of a potato’s nutrients are right under its skin. So, use a vegetable peeler to keep their peels thin and prevent nutrition loss. Avoid exposing potatoes to too much light. 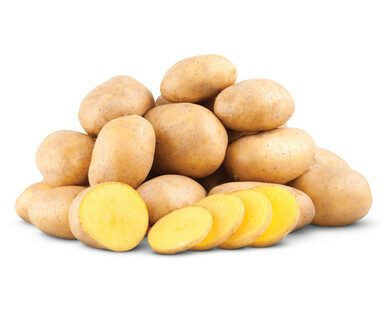 Potatoes are a good source of potassium, which helps to lower blood pressure. Potatoes are high in vitamin C, which has been shown to boost your immune system and help fight cancer. Potatoes should be firm with no soft spots. Avoid sprouting potatoes.